2015 Key Largo 1800 CC 2015, KEY LARGO, 1800 Center Console, Gel Inside & Outside **** FIBERGLASS LINER BOAT ****. "SHOWN WITH OPTIONAL: HARD TOP W / ROD HOLDERS" PRICE WAS $26,599.00 PRICE NOW NO HAGGLE NO HASSLE $21,999.00 **** With / 90 HP 4 Stroke. INCLUDES BOAT, MOTOR, & TRAILER PACKAGE, Up Charge For Galvanized Trailer $473.00 **** Boat, Motor, Trailer Package w/ 90hp 4 Stroke Optional 115hp 4 Stroke Motor: $1099 Price excludes freight, prep, options, local and state tax, title, and fees. Dealer sets the price on their products and may vary by dealer SPECIFICATIONS Length: 17' 10" Beam: 9' Weight: 2200 lbs Fuel Capacity: 35 Gal Max HP: 115 Draft Up: 12" - 15" Transom: 20" Dead Rise: 19 Degrees Capacity: 5 INCLUDES: Larg Aerated Livewell Auto Bilge Pump 8 Rod Holders Forward Seat With Cushion Anchor Storage Cooler Seat With Cushion, 72 Qt. Fiberglass Liner Boat Lifetime Transom, Stringer, And Floor Warranty **** 10 - YEAR HULL WARANTY **** OPTIONS AVAILABLE: BIMINI TOP $833.00 Galvanized Trailer $473.00 T-Top with Canvas, 1800 & 186Bay Only $2,999.00 UNIVERSAL MOORING COVER $311.00 CUSTOM Mooring BOAT COVER $311.00 AC/DC 33 Qt Cooler / Heater $299.00 Kegalator Built In Cooler $299.00 COMPASS DASH MOUNT $195.00 VHF RADIO Call For Pricing FISH FINDER $269.00 DEPTH FINDER $349.00 RAW WATER WASH DOWN $349.00 AM FM Radio Stereo/ MP3/iPod With Remote & 2 SPEAKERS $399.00 CUSHION PACKAGE (16' to 18") $999.00 Sports Premium (Bimini Top, Cushion Package, Cushions, Fish Finder) $1,395.00 2015, WARLOCK, Painted Steel Trailer Included, Galvanized UP Grade $473.00, Bunk , 2" Ball Coupler, Bow Roller, Hand Winch, Trailer INCLUDED. 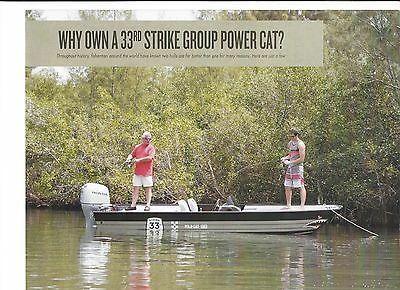 33rd Strike Group 2015 16' Pole Cat Power Catamaran: Description: 33rd Strike Group manufactures top shelf, solid value Power Catamarans that are simple beyond industry leaders in exceptional innovation. Because they are an aluminum manufacturing company first, their Catamarans are unusually solid value added boats. 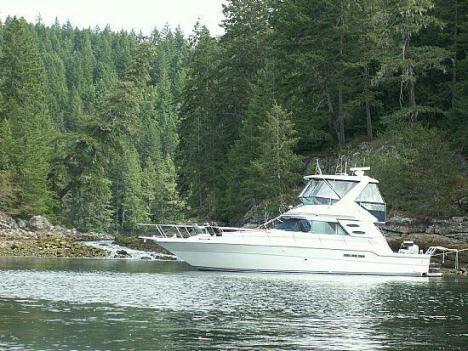 Their boat comes standard with many features that are priced as an option on most other boats. None of their boats use any carpet, but come standard with UV stabilized textured flooring. Power Catamarans are available in 16', 18' and 20' lengths in five different deck configurations. The Pole Cat and Wild Cat are both starboard console, side by side seating "Bass Boat" style boats with different flush to the gunnels deck space, optional fore and aft removable fishing seats, and built in Live wells. 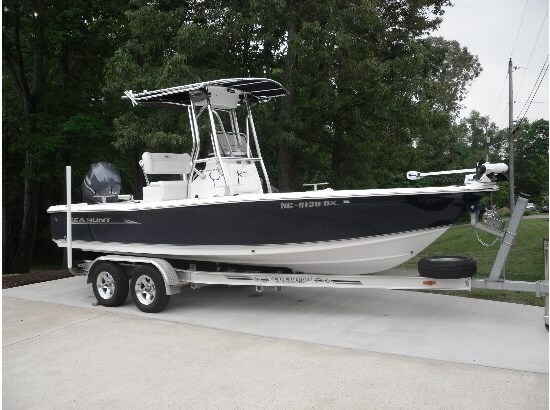 The Bay Cat is a Center Console fishing/ family machine. The Brute is the most basic open deck, utility and commercial fisherman configuration designed for use with simple tiller steering. Specs:Deck Length x Width: 16' x 6'5" Draft: 8"Max Weight Capacity: 1800 lbs Max Person Capacity: 4 Persons Recommended Motor / HP: Mercury 4S ELPT 40-60HP Seating: TanFlooring: Tan, Textured, UV Stabilized Composite Included Features on this Catamaran: Four Aluminum Welded CleatsStainless Steel Bow EyeTwo Stern EyesTwo 750 GPH Bilge Pumps500 GPH Aerator PumpTwin Battery LockersDedicated Portable Fuel Tank Storage With Gas Assist Hatch LidForward and Aft Fising Seat Base With Two Fishing Seats and PedestalsThree Drink Holders10 Gallon LivewellAll Composite Decking SurfacesRemovable Navigation LightsForward Fishing Deck Equipped With Trolling Motor AdaptorIlluminated Multi-Functional Instrument PanelIlluminated Multi-Functional Switch Panels With FusesForedeck Rope/Anchor Storage LockerStow-Flat In-Deck Passenger Seat Dry BagMesh Storage OrganizerCustom Composite Steering WheelCourtesy LightTwin Aft Fold Down Jump Seats and Grab Rails with Integrated Storage BelowLarge Aft Casting DeckRemovable Porsode Wing Locker12-vlt accessory receptacleCustom Galvanzied EZ Loader TrailerOptional Features available for this Catamaran:Mooring CoverHeavy Duty Anodized Swim Ladder Removable Fish Seat AssemblyMilennia Stereo with two speakers Extra Heavy duty aluminum swim ladder PLEASE NOTE: This listing is for the Power Catamaran and custom trailer only. Mercury 4 Stroke Outboards from 40Hp to 60Hp will capably power this pontoon over a wide range from more fuel efficient to higher performance. No motor is included in this listing, since the choice is based entirely on customer preference. Also, Mercury Outboard rigging is engine and customer specific and is not included in the cost. Please see our other store listings for Mercury Outboards and contact Jon Blincoe (301) 870-3133 if you have any technical questions on this boat, the best Outboard recommendation, or other motors or boats for sale. Port Tobacco Marine Transport can also provide over the road transportation to any point on the Atlantic Seaboard, so please contact us about options for prepping and delivering the boat to you.